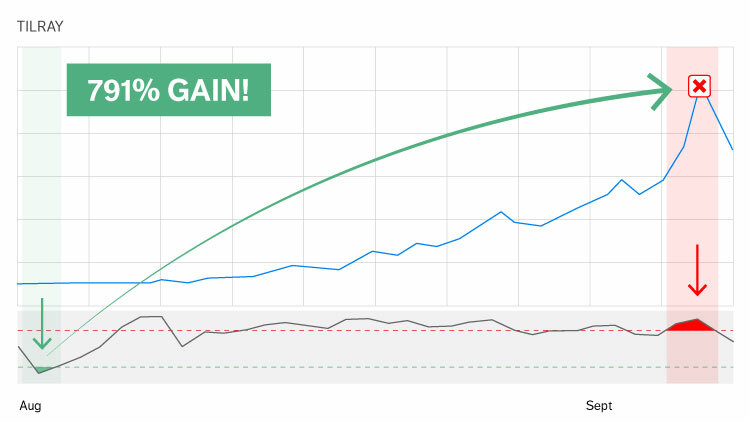 I’ve Upgraded the System PROVEN to Generate Winning Trades Averaging 174%!! Accept My Invitation and Get a FREE YEAR of Research on the House! Hi, I’m Matthew Carr, and I know how to win. But four times in the last six years. I don’t buy into the BIGGEST lie on Wall Street. And it’s true... THEY can’t do it. And you’ll see for yourself just how wrong they are... and why *I* am so consistently right. 2And two, the exact moment to exit and take your profits. Recognizing these two powerful moments is simple! A “Profit Launch Window” is a specific time period when stocks are proved to rise dramatically. This isn’t some unproved system that we just came up with. This is the upgraded version of my most record-setting system here at The Oxford Club. It has the power to be even better than before! And what I found blew me away. Hiding in a number of my most explosive plays were these NEW Profit Launch Windows I’ve discovered. I’ll start with Electronic Arts, a video game company. Do you see that chart beneath the stock chart? You can see there’s a red line near the top, and a green line at the bottom. 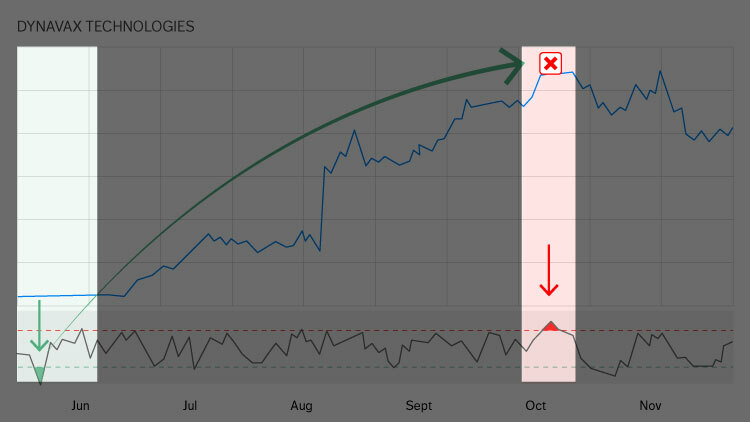 The arrow points out where Electronic Arts dips into the green zone on October 28. That’s a Profit Launch Window opening. The stock took off like a rocket! It generated a 540% profit. Look at that same line below the stock chart. See how the line has crossed into the red zone by May 16? The “slingshot effect” is over. The Profit Launch Window is closed, indicating it’s time to sell. And shortly after that window closed, I had recommended cashing out with 540% profits. In a nutshell, that’s how these Profit Launch Windows work. And when it hits the red zone – that’s when the Profit Launch Window closes. We can do it over and over again. Now, let me make one thing clear. I’m only showing you the Profit Launch Windows I’ve found in some of my best winners. As with all investing, it is possible to lose money – even with a Profit Launch Window. And that’s because there are some economic events we just can’t predict. Like the Fed raising rates or Washington meddling where it shouldn’t. But you can trust me when I say that these Profit Launch Windows are your best bet for massive profits. I’ll prove it to you over and over again today. This one was Children’s Place, the kids’ clothing store. When I went back and analyzed it, I saw it had entered the green zone on October 6, 2017... the same day I had recommended it to my readers. Watch how, just two weeks later, the slingshot gets pulled back. On January 11, 2018 –just two months later – it entered the red zone. The Profit Launch Window was closed. Right as the stock started to drop. But our 694% profit was already locked in! Boston Beer. This is a company I know well. I just got back from touring its facility, overseen by CEO Jim Koch! I told my readers to buy in that following Friday. And once again, the stock slingshots higher! And just like before... you know exactly when to close. This time the red zone had opened by September 9. From May to September... we’re talking just five months! 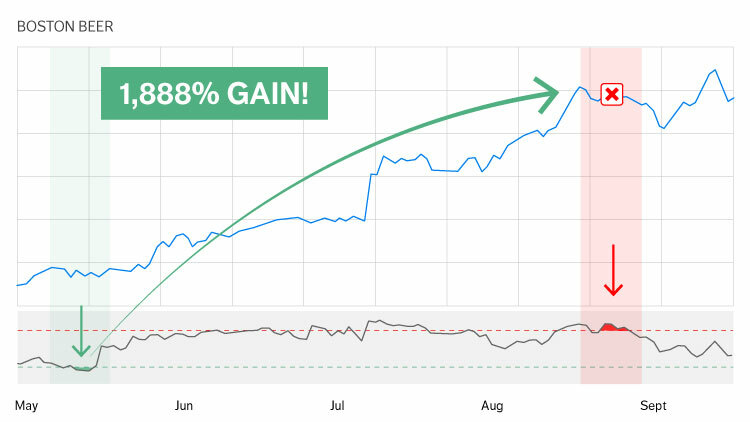 And I had told my readers to close out a whopping 1,888% gain on September 19. You’re going to get the power to double your money and then some! Remember, my average winner over the last six years is 174%. You can see why my track record was No. 1 at our organization. 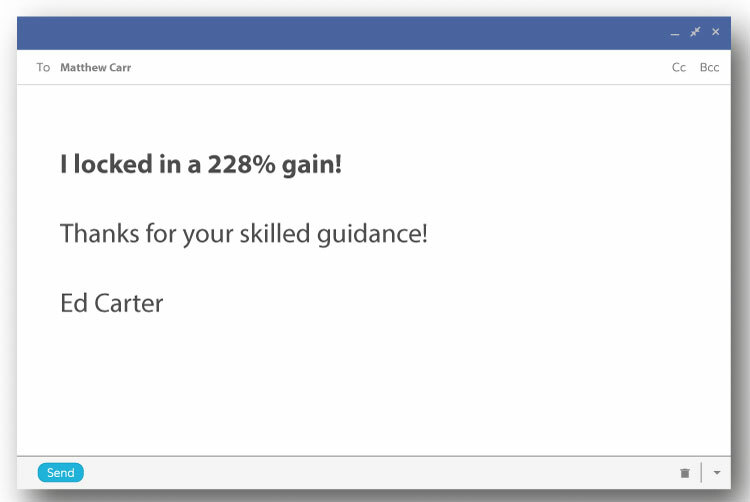 And that’s from 209 winning trades using my unique approaches to the market. Now, there have been some losers along the way as well, of course – no strategy is foolproof. 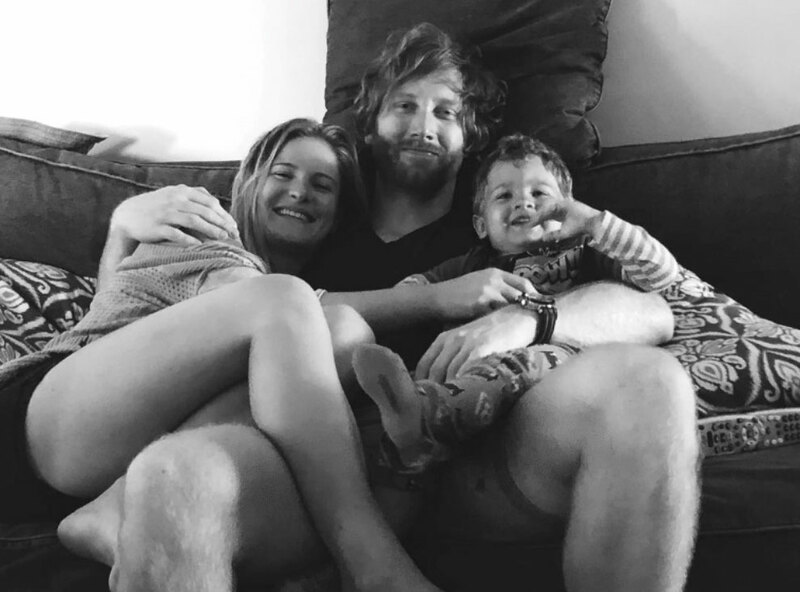 But think of the money you could make over a year with those kinds of results – especially now that I’m supercharging my system with these Profit Launch Windows! Stick with me for just a few minutes, and I’ll show you how you can discover three of these Profit Launch Windows in the next 24 hours. Let me tell you more about why I’m here, sharing this with you now. My first breakout success was Prime System Trader. It was responsible for the BIGGEST gains of all time here at The Oxford Club, giving readers the chance to make 27X their money. In fact, 1,000% gains weren’t all that rare with my system. We’ve done it four times now. My second service, The VIPER Alert, has had one of the best track records at our organization in 2018. 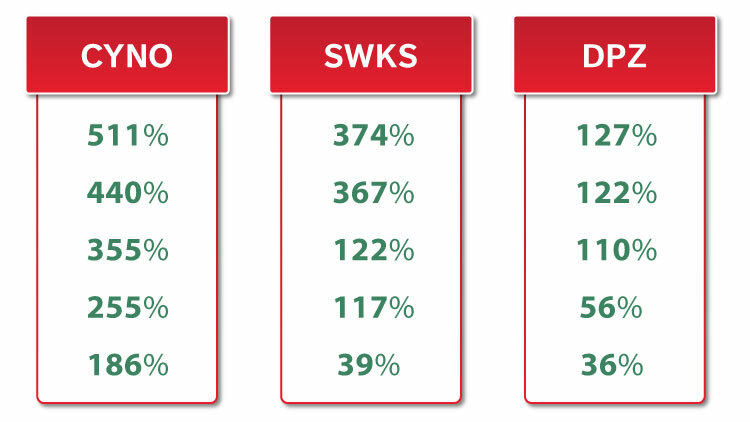 We closed a triple-digit winner almost every single week of the year on average! Imagine doubling your money 48 times in one year! Then, when I spearheaded our marijuana initiative, I identified pot stocks like Canopy before it doubled and Tilray before it tripled... and eventually quadrupled. I helped Oxford Club Members like Henry Martin score an $800,000 payday. All told, I’ve shown readers how to make more than a million dollars from pot stocks. The systems I’ve created have proved to work in real time and with real trades. I know I don’t look like a record-setting trade expert. I’m not a flashy-looking Wall Street guy. I don’t wear a Rolex or drive a Porsche. I grew up poor in West Virginia – with a plastic spoon in my mouth. So acting like some “Wolf of Wall Street” is NOT who I am. On the other hand, I am going to show you how Profit Launch Windows could help you make $100,000 in the year ahead. 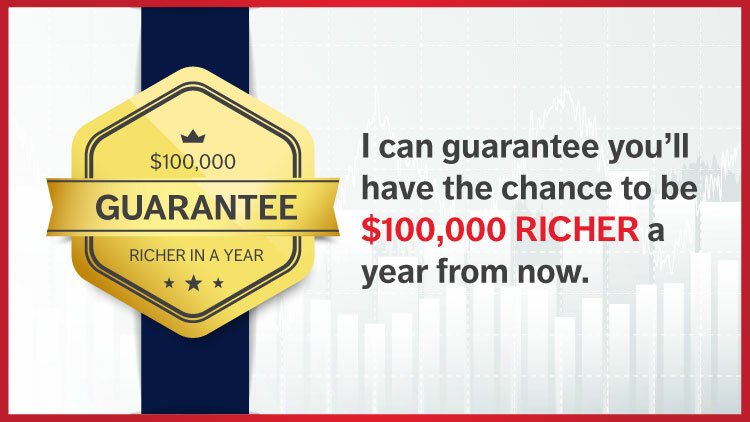 In fact, I’m guaranteeing you’ll have the chance to be 100 grand richer thanks to this new and improved system. But it’s not ALL about making money and being obsessed with it. Money means a lot of different things to a lot of different people. 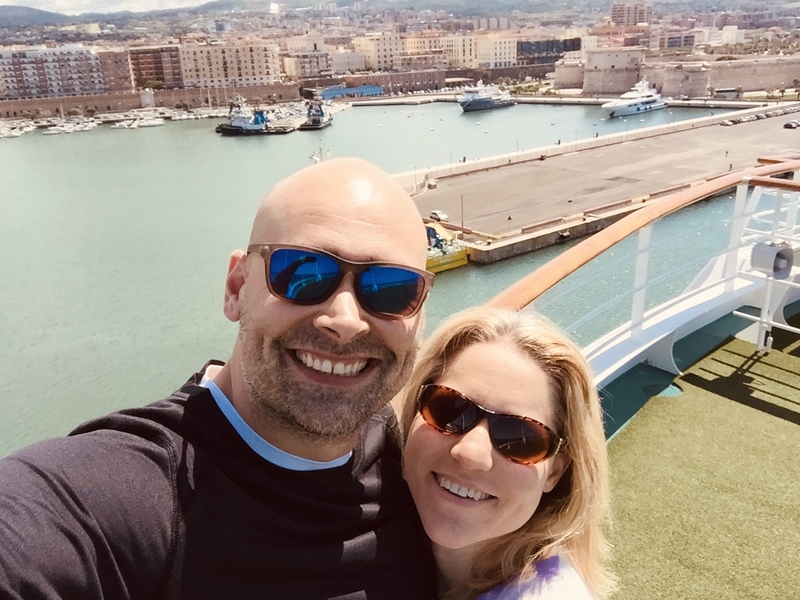 For my wife and me, it means being able to travel the world and see the places we’ve always wanted to see. For one of the analysts I work with, it’s a chance to buy a house for his family. And for the CEO of my company, Julia Guth, it’s all about philanthropy and giving back. She started a charitable clinic in Central America for the local communities. The question is: What’s YOUR passion? What do you see yourself doing with the newfound wealth YOU could uncover, once you start using Profit Launch Windows? I’ve HELPED loads of people here at The Oxford Club with my research. Don Marks is someone else I’ve helped. He’s using my research to boost his IRA. Then there’s one of my favorite people to talk about, Henry Martin. Henry made more than $800,000 from my research. I can’t tell you how good that feels. Now I want to do the same with you. Stay with me for just a few more minutes and I’ll show you how you could profit from the next three Profit Launch Windows. I’ll even guarantee your chance at adding $100,000 to you portfolio. But first, let me walk you through exactly how Profit Launch Windows work... and why they’re so powerful. So you remember that unique chart I showed you earlier? 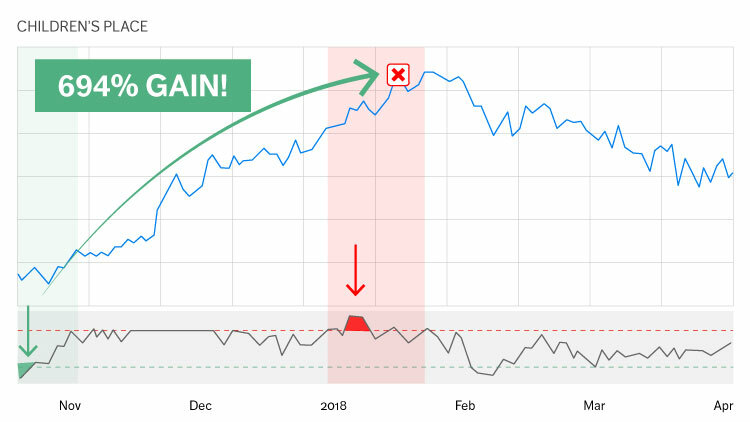 Not the stock chart, but the one below it that tells you when to buy and sell? The one that’s just like a slingshot? It’s called a Chande Momentum Oscillator chart, and it measures buying and selling pressure on a stock. Feel free to write it down if you want. So let’s just see how it WORKS rather than doing complex math problems. When a stock is in this neutral zone, it trades normally. But at the bottom you see that green line. Every once in a while, something unusual happens. 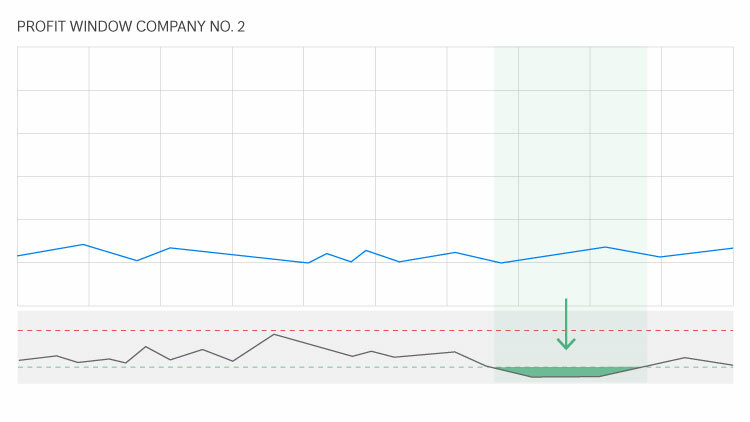 Extreme selling pressure causes the stock to dip below that green line. This is where the stock itself pulls back – just like our slingshot. To get into the green zone, a stock needs to register a score of at least -50 in the equation I showed you. It enters the green on the Momentum Oscillator chart on November 14, 2017. On that day, it’s just $75 a share. That’s the day the Profit Launch Window opens. Then, just as expected, the stock shoots higher right after. 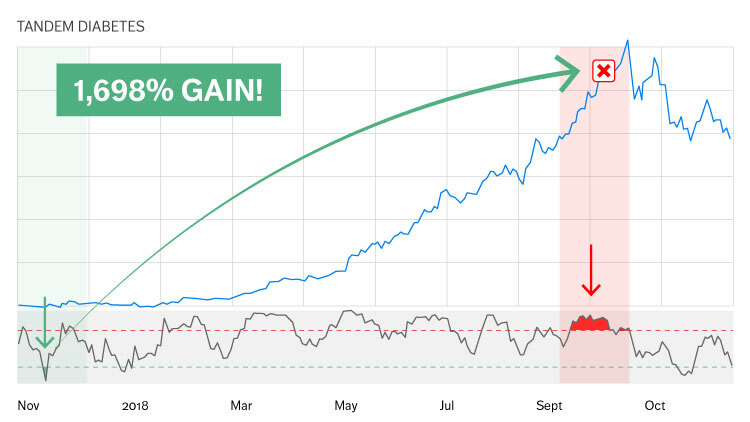 It jumps 114% in just over six months. Now, look where it enters the red. That’s when we would sell – on June 1, 2018. Then wait for red to tell you to get out. There’s Sunrun, a solar company in San Francisco. See here on the chart when it entered the green and the window opened? That was September 18, 2017. This was when it was trading at just $6.44. Now watch as the months unfold... and it slingshots higher in price! The stock eventually soars to $16.44 by July 2018. And you can see EXACTLY when it enters the red zone and the Profit Launch Window closes. 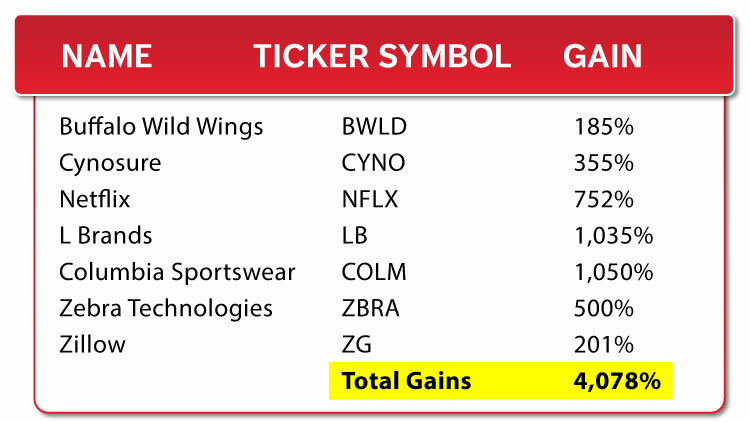 You would have scored a 155% gain! PayPal’s a company processing 193 payments per second on average, or 6 billion payments per year. Rivers of cash are flowing through this company 24 hours a day. But for months, this stock wasn’t really going anywhere – which is unusual. However, the Profit Launch Window opened on December 12, 2016. It was $39 that day... the perfect entry point. The stock shoots to more than $85 a share when it hits the red. You can see the Profit Launch Window closes right as the stock starts to run out of gas on June 18, 2018, dipping shortly after. That’s what I love about these Profit Launch Windows. It’s a clear signal when to get in and it’s a clear signal when to get out. And in PayPal’s case, you could have enjoyed 117%. Now, let’s look at Etsy really quick. An online store you may have heard of. 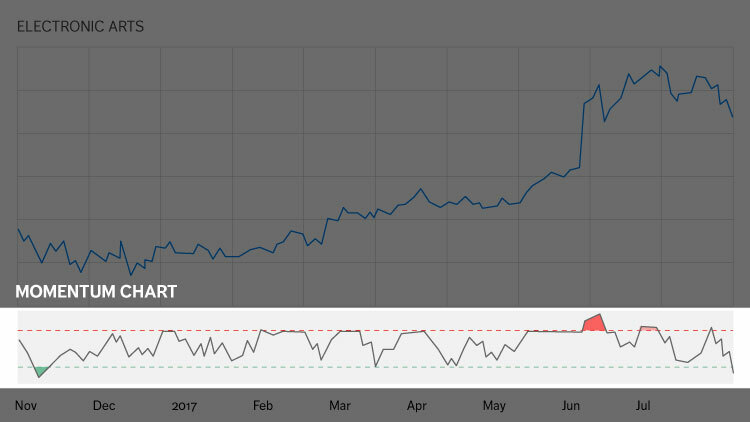 You see the Profit Launch Window has opened and the stock hit that sweet spot on March 6, 2017. This was when Etsy was trading at 10 bucks. Of course, it didn’t stay that way for long. Going from $9.72 to $44 and change. And once again... you can see that it had dipped into the red zone by June 18, 2018. That’s the Profit Launch Window closing. For a gain of more than 359%! And I want to emphasize one very important thing here: Every Profit Launch Window I just showed you consisted of stock gains only. These were not options. Yes, I do recommend options from time to time to help my readers get massive, life-changing gains – like the Electronic Arts and Children’s Place examples I pulled from my past plays today. But you can profit from simply buying and selling regular shares! 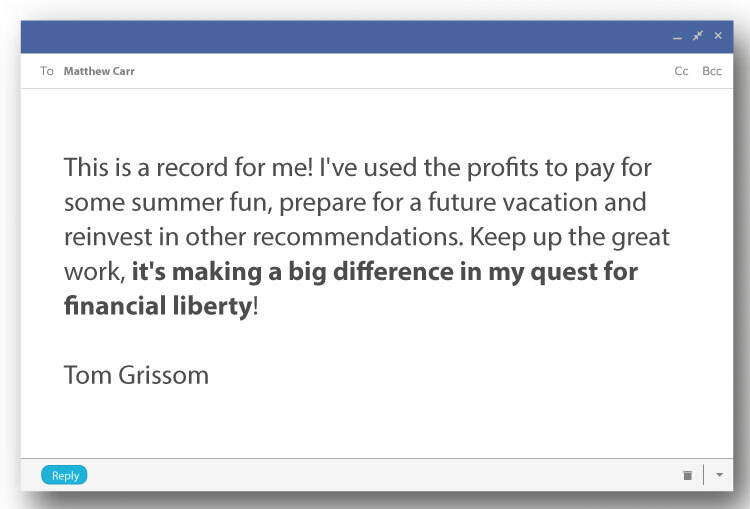 With my recommendations, I’ve helped lots of people across all my services make substantial profits. 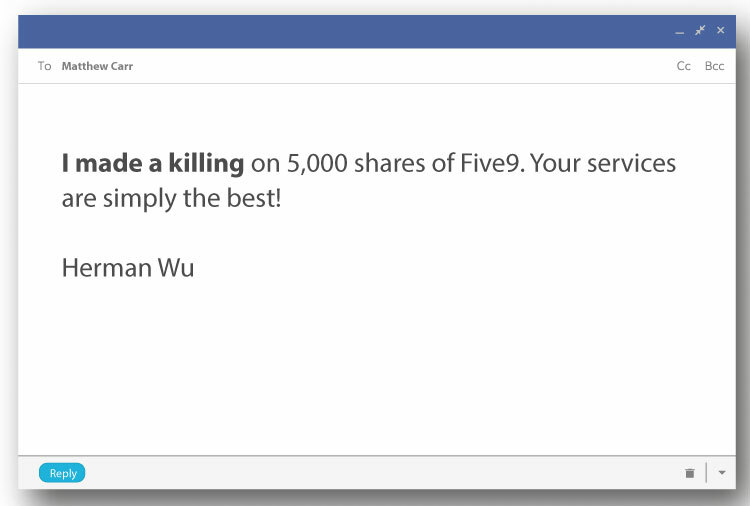 “A killing” is an understatement... when I recommended Five9, it was a stock trading for just 10 bucks. 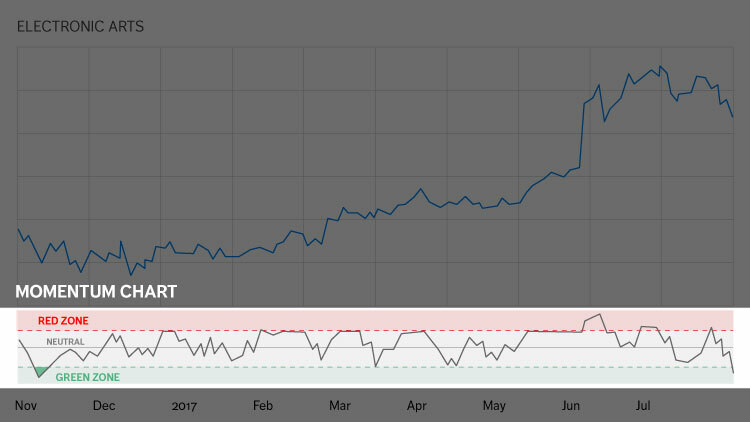 Five9 eventually climbed to $48 a share! Herman had the chance to make more than $25,000 from that stock! And that was just one of my picks. Another one of my subscribers, Hank Simms, had a similar experience with two of my picks. $29,000 is certainly nothing to sneeze at. But I bet Hank could have made up to 5X that from my options plays. I know for a fact: you can do this. National Beverage. Ticker symbol: FIZZ. It makes those La Croix flavored waters you see everywhere now. This was one of my biggest winners back in 2016, and when I looked back at it, I realized it perfectly illustrated my new Profit Launch Windows. It entered the green zone on April 21. That was when a Profit Launch Window opened. And less than 24 hours later, on April 22, I had issued an URGENT “Buy” alert on FIZZ. The stock slingshots up, just as predicted. See how it peaks at $62 on June 30? It had just crossed into the red zone the day before. That’s the signal to get out. And sure enough, I had recommended closing on this exact day. 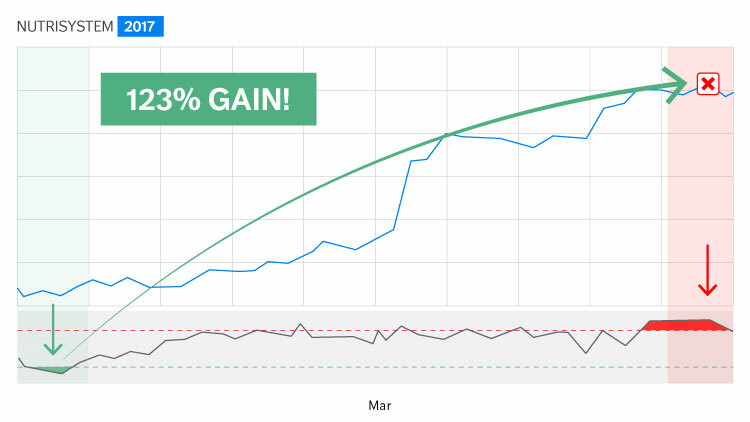 Our play on FIZZ produced a 573% gain! Imagine if I had known to look out for these Profit Launch Windows back when I was recommending my play. I probably could have helped my readers make even MORE money. You have a potential advantage they could have never dreamed of! So you’re in the perfect position to get started today. Wait for green to go and red to stop. Here’s another example from Royal Caribbean, the famous cruise line. 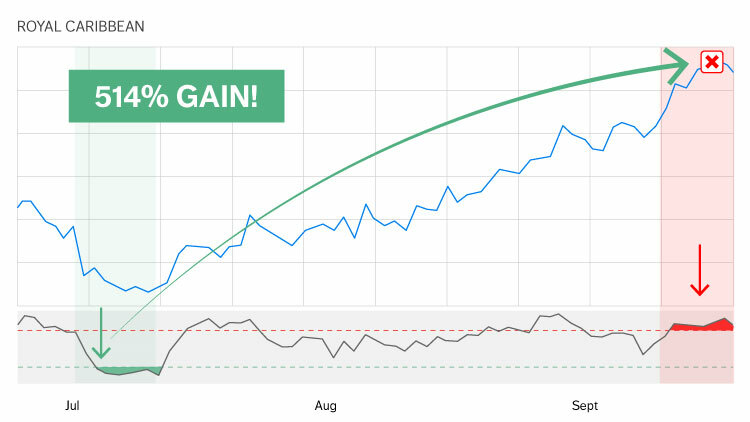 By July 5, you can see a Profit Launch Window had opened and the stock had hit the perfect spot. Selling pressure was at its maximum, giving us the highest upside potential. I had put out an urgent “Buy” alert to my readers the following day, July 6. That was the time to sell. And just as it entered the red, I told my readers to close out on September 21. 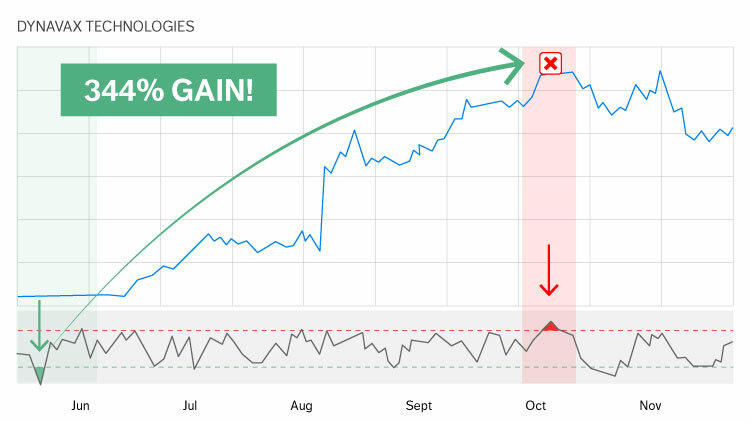 That could have been a 514% gain for you if you acted on my alert... in just TWO MONTHS! Here’s one we pulled from the market... it could have made you 10X your money in a matter of months. And again, it’s just a straight stock play – not options. Intelsat. They run a satellite business. On January 12, 2018, the Profit Launch Window opened after months of trading flat. And the stock began to take off like a rocket, climbing 985%. Then, by October 4, 2018, it hit the red. I want to re-emphasize that this is just a stock gain. Not options. 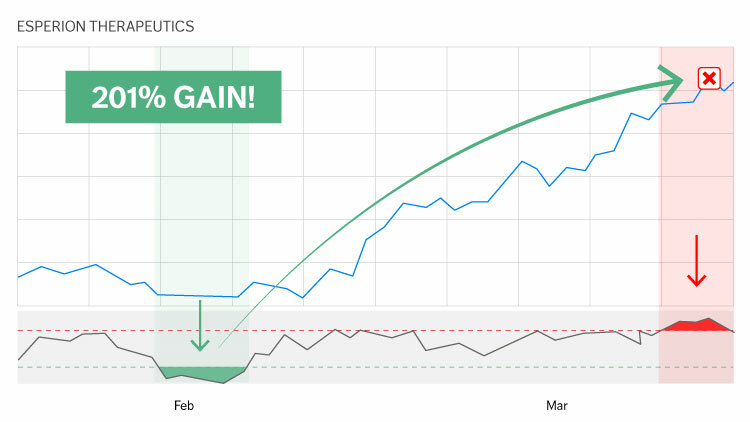 Now of course, the examples I’m showing you today are some of the most exceptional gains I’ve found in both historical research and in my own track record. But imagine what even a fraction of wins like these would do for your bottom line! What would you do if you made 100% on your next investment? Or 900%, like you could have made on Intelsat? I tell you what, if you get my next three urgent buys (which I’ll offer you in a moment)... you could find out for yourself. And it builds on an already great, record-setting system! Allowing YOU to pull cash out regularly, almost like an ATM. Let me show how we’ve done this with Nutrisystem, the popular dieting company. I’ve been recommending this company every year since 2015! It’s really become one of my readers’ favorites to profit from. And when I looked at each year’s win in preparation for this video, I was thrilled to discover that virtually every instance also followed a Profit Launch Window! 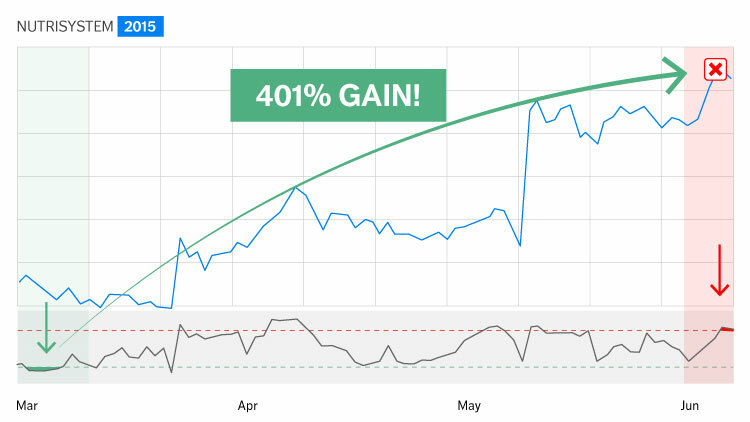 In 2015, we clocked a 401% return during the Profit Launch Window. 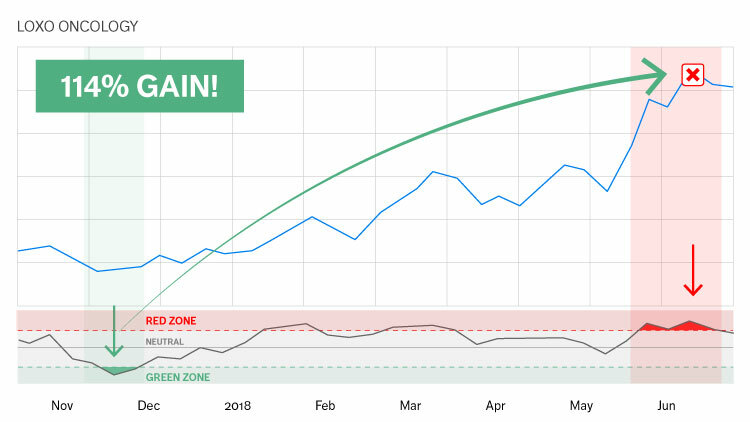 The stock entered the green zone on March 2, and I told my readers to get in shortly after! Then I told readers to get out two weeks later, on June 18. 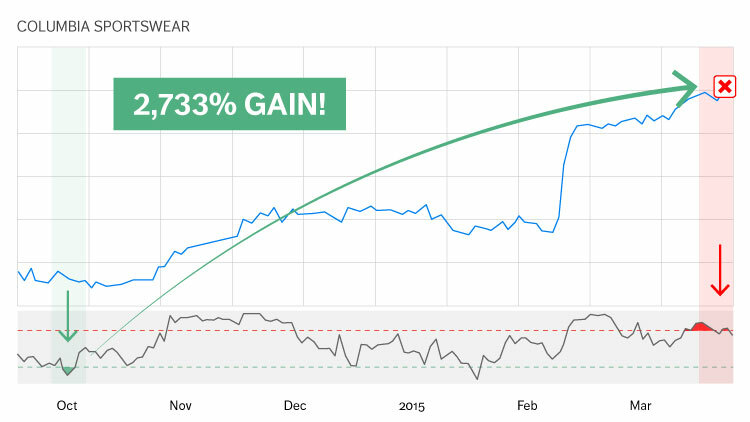 In 2016, our play aligned with Nutrisystem’s Profit Launch Window between March 7 and May 5, capturing 175%. In 2017, we scored 123%. That took only 15 days in March! 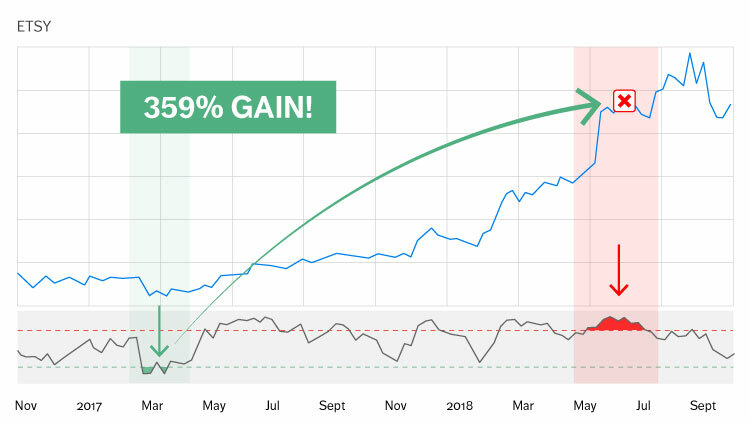 And just recently, in 2018, we closed out another 33% gain on this stock... you guessed it, through March and June! I wish that one could have been bigger. 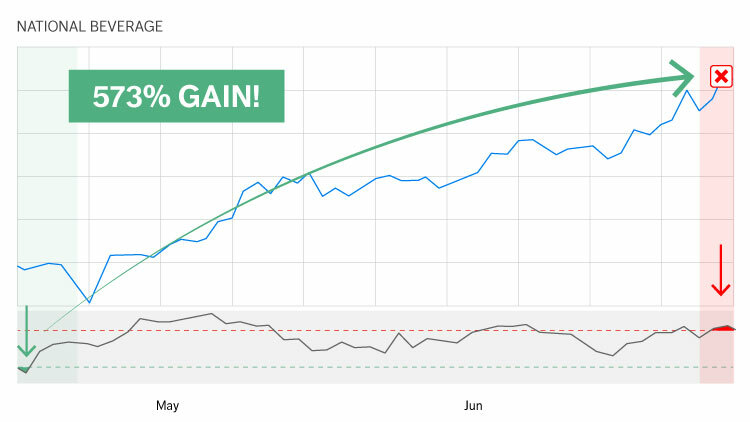 But given how volatile the markets acted in 2018, I’ll take an easy 30% gain all week. 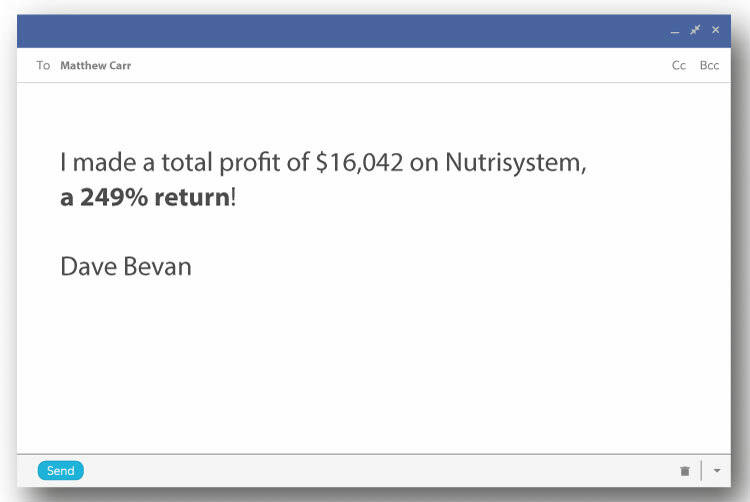 In total then, we’ve averaged 129% on Nutrisystem. And keep in mind, this was before I even thought to upgrade the system with the Profit Launch Windows! I can only imagine those returns would be even BIGGER if I had made this game-changing discovery! Every year around March, I already know Nutrisystem is likely to rise. So now all I have to do is wait for the Profit Window to open and tell my readers to buy. Ed Carter, one of my readers, knows firsthand just how easy it is for us to make money from this company. 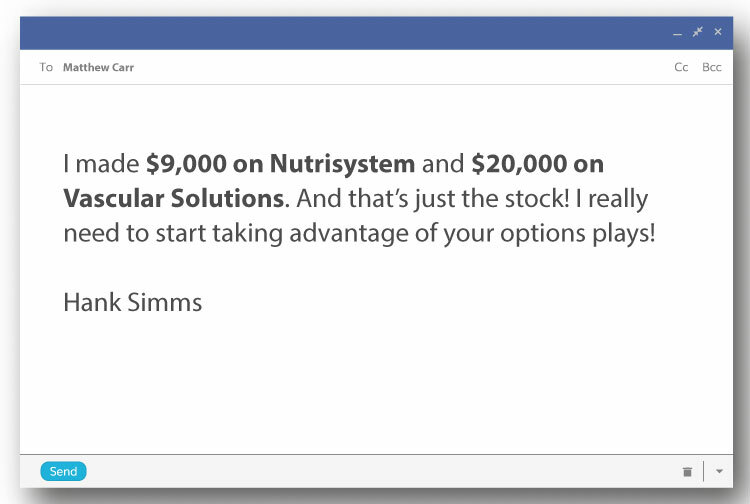 And, as I mentioned earlier in the video, Hank Simms made more than $9,000 on Nutrisystem. And this isn’t the only stock we’ve profited from multiple times. And now, going forward, I can use my NEW Profit Launch Window as the exact moment to get in. Meanwhile, I have all sorts of “Old Faithfuls” that you can grab money from every year. Of course, sometimes a “black swan” event will interrupt the pattern. We can’t control surprise events that can hurt a company, like a data breach or product recall. And we certainly can’t control what goes on in Washington. No strategy is 100% foolproof, and I’m not going to pretend mine is. And now, with the addition of these Profit Launch Windows, I expect even more consistency. In fact, I’m going to show you how just three exceptional Profit Launch Windows could have made you close to a million in cash... and I’m going to show you only stocks. Not options. 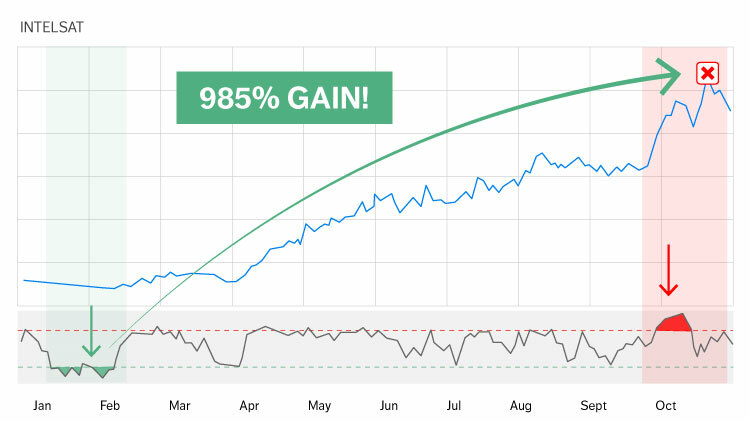 $881,000 From Three Stocks in Less Than a Year! Let’s start with Esperion Therapeutics, a biotech company. On January 17, 2017, it entered the green zone. The Profit Launch Window opened. Now, the share price was just $11.27 at the time. So let’s say you feel pretty confident... and you put down $10,000. After all, you know Profit Launch Windows work consistently over and over. Sure enough, the selling pressure releases, and the stock slingshots higher! Turning your $10,000 into an incredible $30,100 in just three months. Now, let’s say you took $10,000 out so your initial investment is safe. And from there, you roll your $20,000 in “house money” into DVAX, another biotech company. On May 5, just two months later, the Profit Launch Window in DVAX opens. Shares are just $5.40. 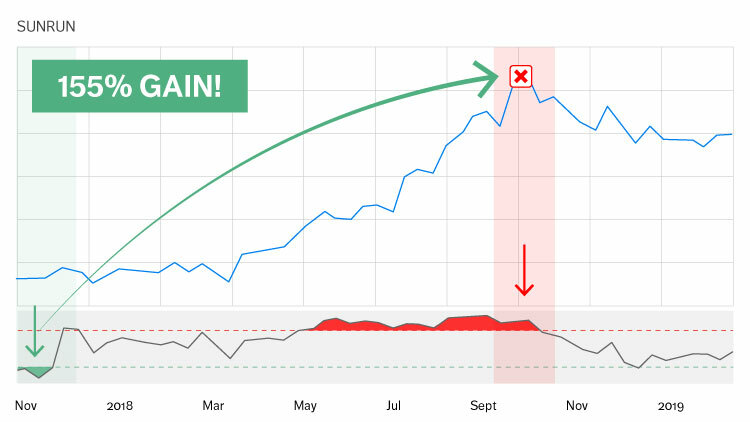 Just five months later, by October 4, it had redlined – the signal to sell! The share price on that day? Growing your $20,100 to $89,144. You’ve made nearly six figures from two stocks in 10 months. And you never risked more than your initial $10,000. By this point, you figure it’d be crazy to roll your profits out like that again. So you pocket some of your winnings this time. You started with 10 grand, so you figure you’ll pocket $40,000. That way you have $50K in the bank, safe and sound. And you let the remaining $49,000 ride. Just two months after winning big on DVAX, another Profit Launch Window opens. On December 29, 2017, Tandem Diabetes crosses into the green zone... The selling pressure is pulling back and creating the slingshot tension we love to see. A HUMONGOUS Profit Launch Window is opening. But then it slingshots higher! As the months go by, Tandem launches from 2 bucks... to $46.57. And the system would have alerted you to get out on September 4, 2018, a few days after it had entered the red zone. 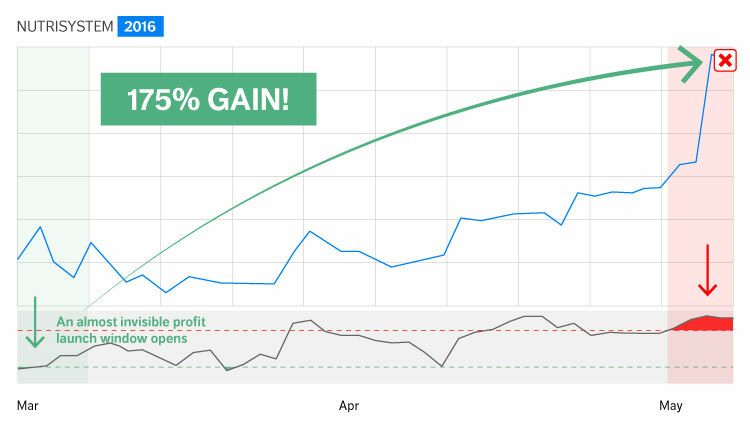 All told, this Profit Launch Window handed you a gain of 1,698%! You put $49,000 of house money in. You’re walking away with $881,020. Could hand you nearly $1 million. All by simply waiting for Profit Launch Windows to open... and cashing out when the window closes. Now of course, this would take exceptional timing on your part – and perfect luck to hit only these top winners. We wouldn’t recommend rolling your profits this way, which is one of the reasons we took out “house money” along the way. But it’s a great way to highlight the incredible power of this strategy. And in fact, I have three urgent buys that could explode in the days ahead. I’ll give you details here in a moment, as promised. But first, let me show you the biggest record-setting gain I’ve ever had at our organization. Looking back, my recommendation aligned with the Profit Launch Window almost perfectly. Columbia Sportswear is the company. Now on September 30, 2014 selling pressure pushes the stock into the green zone. 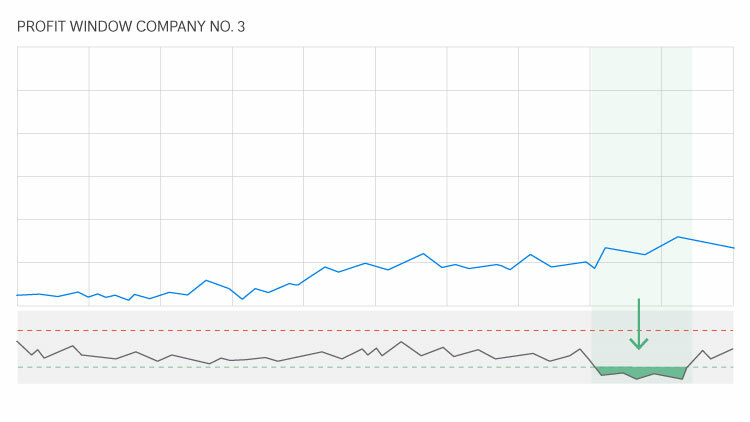 Soon after the window opened, the stock went on a downright insane run. The stock was peaking at a new all-time high! Amazingly, we had exited Columbia Sportswear right at the top. And we locked in a mind-bending 2,733% return. 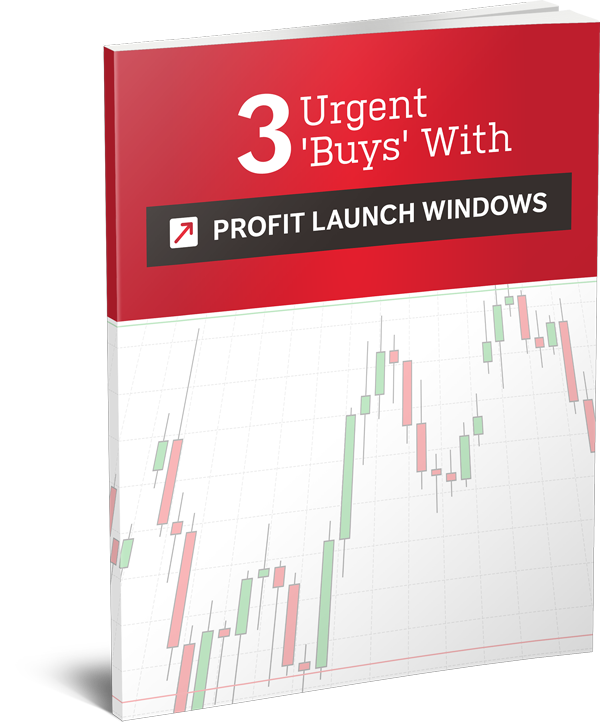 So let me give you the details on three Profit Launch Windows that are just opening now. As I’ve mentioned, I’m targeting multiple stocks right now, each one pulling deep into the green zone and opening a Profit Launch Window. Once we’re in the green zone, a Window could open any moment! So you don’t want to waste any time. The first one could potentially double your money... it’s one of the most exciting stocks I’ve seen in a long time. The second could add thousands to your portfolio now that the window is opening... it’s a sector I really love, and I’m excited for you to get into it. By the time the third one hits, you could be well on your way to six figures. Especially when you see the potential of this third company! And I want you to be along for the ride for every single one of them. When the Profit Launch Window closes and I recommend cashing out, I want to hear all about any money you made! 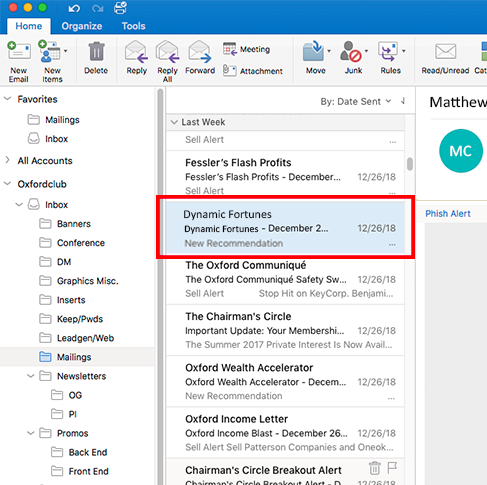 Emailing my team about your wins is something I encourage with all of my readers! I love knowing that you’re making money! But I don’t want to waste another second – you’ve seen how fast these plays move! Remember, the average of all my winning trades is 174%. That means you can expect every $5,000 to turn into $13,700 on the average win. And you’ll get Profit Launch Window updates every week going forward. That same type of financial freedom I talked about earlier. And that’s my goal for you. Just as it was for Tom. And just as it was for Marc DeSantos, another one of my readers. I want you to be the next person to email my team about what a difference my research is making in your life. 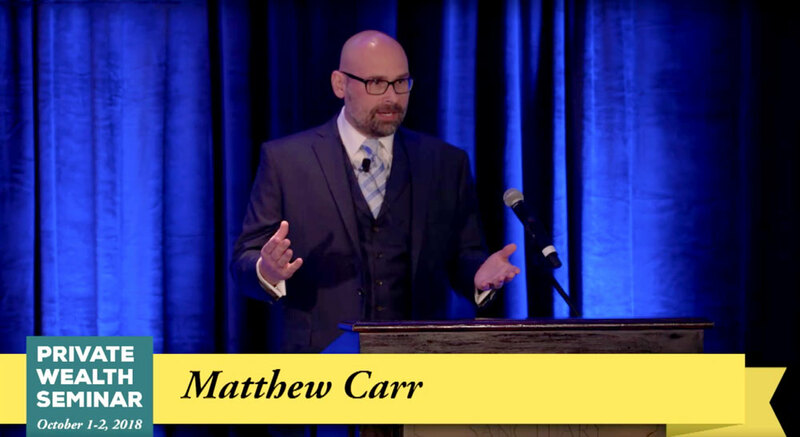 That’s why I want to bring you into my new initiative here at The Oxford Club, which we’re calling Matthew Carr’s Dynamic Fortunes. 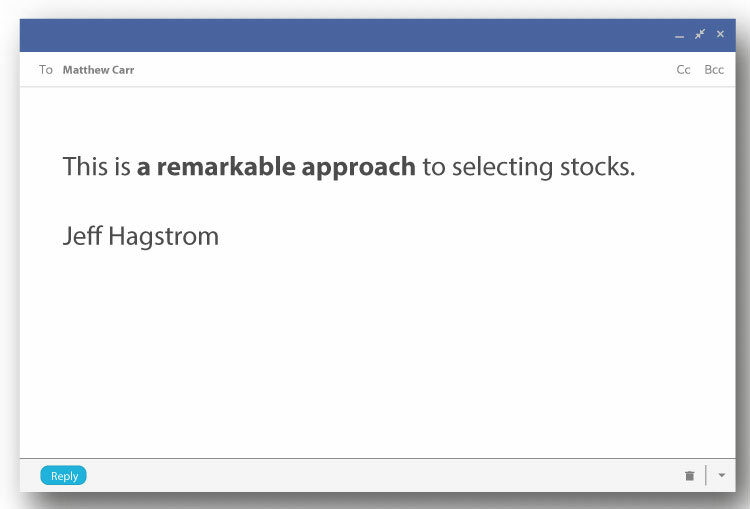 With Dynamic Fortunes, I will be taking my proven strategy of selecting stocks when they’re at their most profitable and adding the power of Profit Launch Windows. As a new subscriber, you will receive an email from me every time a Profit Launch Windows open up. And if you get in today, I can guarantee you’ll have the chance to be $100,000 richer a year from now. 100 grand. I know. It’s a big promise. But my track record proves it’s possible. And then some. 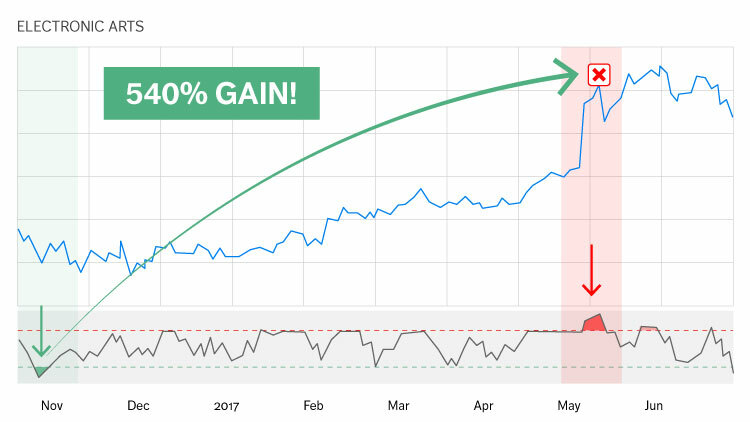 I’ve made 1,000% gains look easy! And as I mentioned before, many of these Profit Launch Windows open at the exact same time year after year – just like some of the favorite companies I’ve already shown my readers how to profit from over and over. These companies have become regular cash cows for us. The most important thing you need to remember is to wait for the Profit Launch Window to open... buy into the stock... and then get out when the Window closes. You’ve seen it over and over again today. I want you to be a part of the next record-setter. Most days there won’t be any Profit Launch Windows. When that happens, I’ll blast out an alert to you, letting you know what action to take. Let me show you with a real Profit Launch Window I found looking back in the market. It’s a marijuana stock called Tilray. This was on August 3, 2018. After seeing a Profit Launch Window open like this, I analyze the stock and run it through every one of my screening parameters. Then I send you a “NEW RECOMMENDATION” email. My email is going to be short and sweet – so if you decide it’s right to invest, you can move quickly. I’m going to break down the stock I’m recommending. All the nuts and bolts behind the company. Eventually, you’ll start to feel like you know where certain stocks are going after you’ve profited from them several times over, like we have with Nutrisystem, Boston Beer, Cynosure... and countless others. I’ll keep in touch with you every week on what to do. 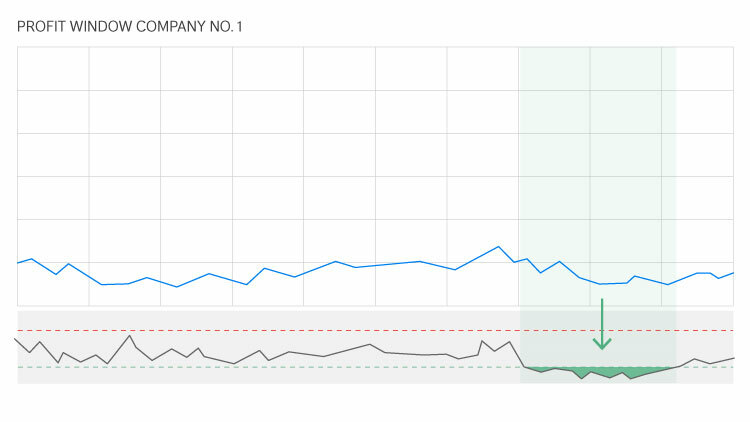 You would have waited just over a month’s time, as this stock launched from $24 to $214. At this peak you see on the chart, the system would have signaled that it was time to take your profits and get out. Enough to turn $5,000 into $44,550 in a just over a month. Today, I’ve got three unique recommendations for you. 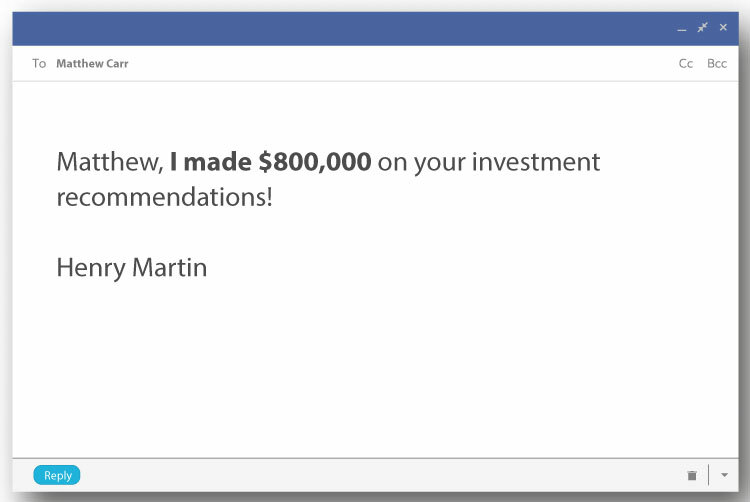 And I’ve already shown you how three stocks can hand you more than $881,000. 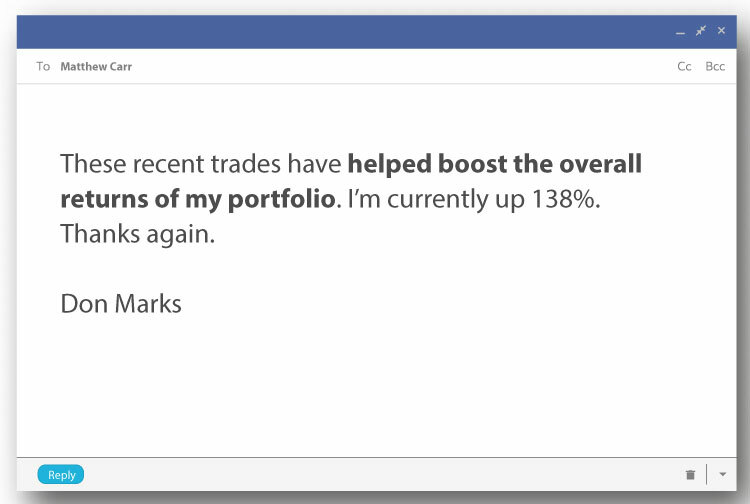 As I’ve mentioned today, the average return of my winning trades is 174%. But they’ve gone as high as 2,733%, as you’ve seen with Columbia Sportswear. And my three new recommendations are the best of the best. Because I’m 100% confident in all of them. Each one is perfectly set up for a Profit Launch Window... and looks just like the pattern you’ve come to recognize. And remember, you get a Profit Launch Window update every Friday when you agree to join Dynamic Fortunes. That’s a lot of moneymaking potential. In fact, I’m a little nervous to give you this next bonus because it’s some of my very best work. 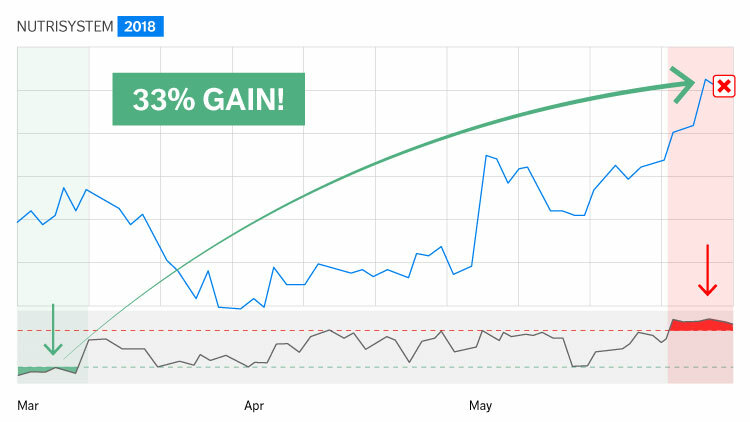 Remember how I said we’ve played stocks like Nutrisystem over and over for predictable gains? 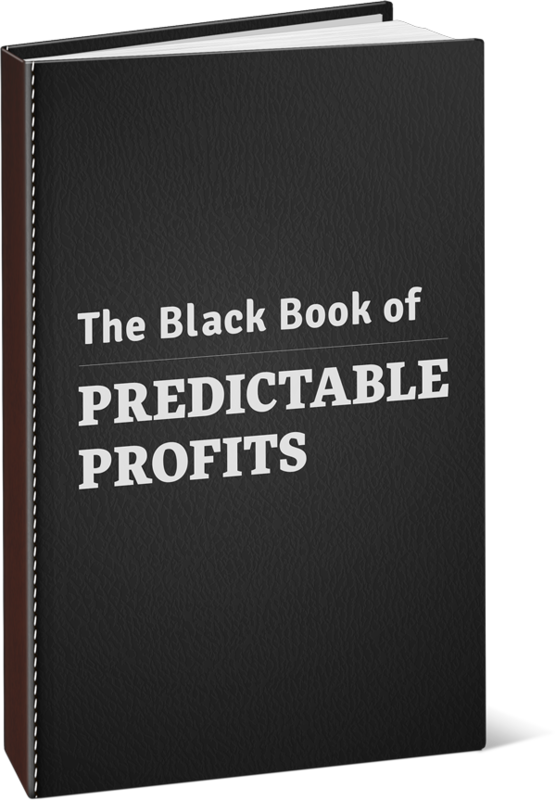 “The Black Book of Predictable Profits” will show you exactly how to do it yourself, without my guidance. This little “Black Book” is something I’m a little nervous to give out... it’s essentially my life’s work on my 12 favorite companies. 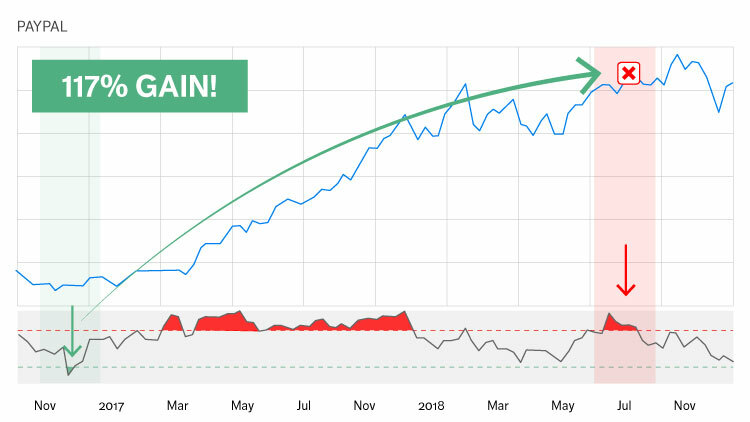 For example, one of my favorite stocks in the “Black Book,” SodaStream, has produced an average return of 41% for seven straight years! Another one, Expedia, has averaged 31% over 10 years! These companies offer the most predictable money you’ll ever make! Once you have them, they give you a market advantage nobody else can match. Plus nine more companies that my readers have been able to profit from again and again and again. It took me years to compile the information in here so that my readers can have the chance to profit repeatedly from these companies and collect consistent money. And I’m going to give you my “Black Book” – along with everything else – when you say yes to becoming part of Dynamic Fortunes today. And just in case you feel like you need a little more coaching before that first “NEW RECOMMENDATION” email hits your inbox... I’ve recorded a new version of my Video Playbook. I want it to feel like I’m in the copilot’s seat with you, guiding you with my expertise every step of the way. I do not want you to feel like you’re going it alone, which is why I’m making sure you have all of these resources available to you. Joan is making the best investments of her life, and I can’t tell you how good that feels. Are you going to do whatever it takes to become richer and grow your wealth? Or adding 100 GRAND to your portfolio? I ask because it’s not free to join my service today. Because the truth is, if you give someone something for free, they almost never get the full use out of it... or appreciate it. It gives you three urgent buy recommendations... the shot at adding $100,000 to your portfolio... my “Black Book of Profits”… AND my Video Playbook. The price to get in is peanuts when compared with the opportunity. I will give you second year completely free! On the house! A true BOGO – buy one, get one! And as many as 80 recommendations over that time! You could walk away with as much as $139,200! I plan on giving you the shot to add at least 100 grand to your portfolio. And I’m not going to quit until I do! Even if that means working for free for a second year! Because I believe in putting the burden of proof on my shoulders, which is why I’m going to give you a second year on the house! It’s a huge bundle, and I want to give you every possible advantage from day one. You’ll also have access to the VIP Member Services Team... these folks can answer all your questions about the service. You’ll NEVER talk to a robot or garbled machine. You’ll get access to the Dynamic Fortunes website with a unique username and password. You’ll get my entire history of trade recommendations... you’ll be able to see my past recommendations and see that my model track record really does live up to the hype. There’s a LOT of value in this bundle. Unfortunately, some people would take the “Black Book” and my three immediate “Buy” recommendations, use them to profit and then call up the next day asking for a refund. They ruin it for honest people like you. And I realize this is a BIG decision on your part. 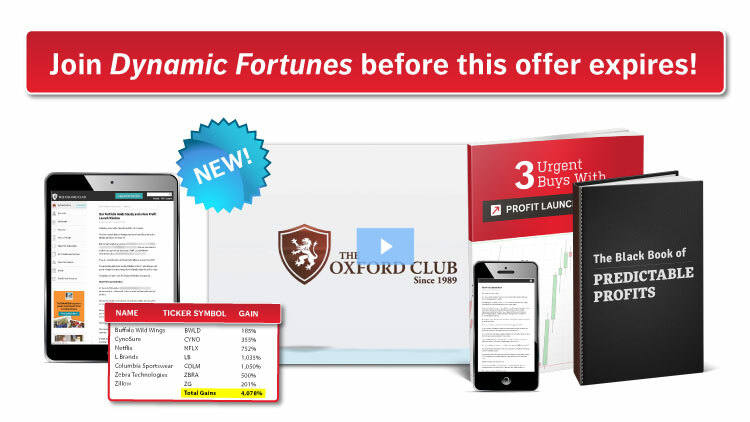 If you do not add $100,000 to your portfolio after your first 12 months of using Dynamic Fortunes, I’ll give you $4,000 to try ANY VIP service you want at The Oxford Club. Whether it’s Alex Green... Marc Lichtenfeld... Steve McDonald... I’ll see to it that if you no longer want to work with me... you can work with anyone you want. Basically, I won’t rest until you’re able to make more money than you know what to do with. And if that means giving you a $4,000 credit to part ways, then so be it! I won’t stop until you’re successful. We’re going to celebrate our wins too! Because I have one goal and only one goal for you today: to show you how to make a lot of money in the months ahead. And I think we should celebrate when we accomplish that goal! If we keep up the success we’ve enjoyed before today, I plan on delivering major winners to you over the next 12 months. 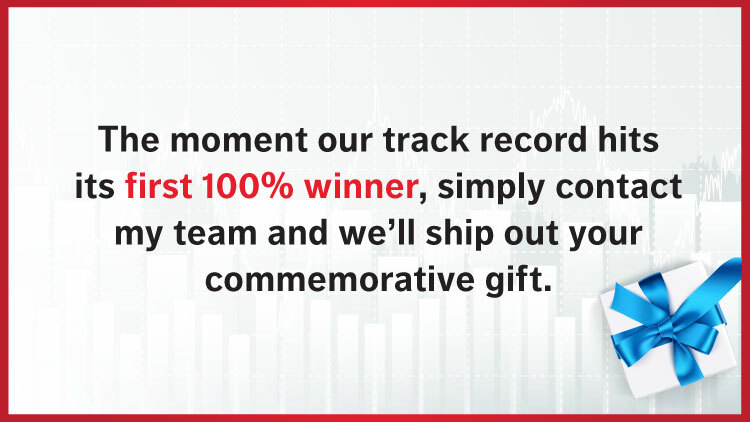 Once we collect our first 100% winner, I’m going to send you a special gift. Few average investors stumble upon 100% winners. But with my Dynamic Fortunes, they could become a regular thing for you. Still, I think we should celebrate our first 100% winner together. But this is something you’ll be proud to wear to your next party or gathering of friends. It’s not flashy by any means, but folks who see it will undoubtedly want to know where you got it. 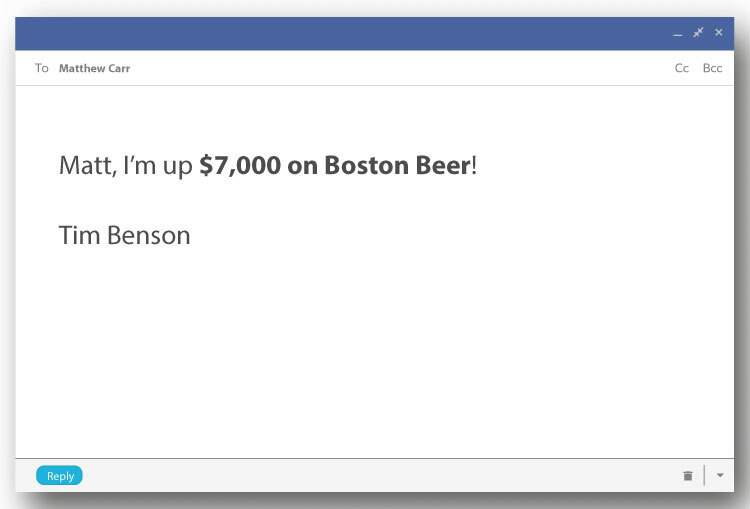 Then, if we hit our 500% winner, I’ll be upping the ante even more. 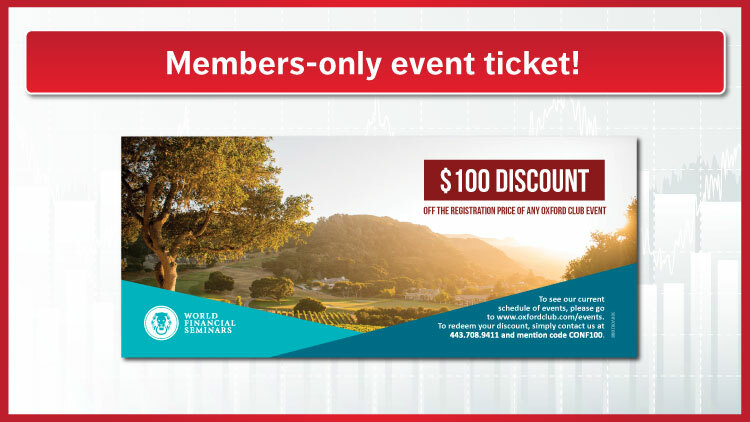 I’ll send you a free ticket to one of our private Members-only events. Our investment conferences are where I reveal some of my best investment ideas behind closed doors. We do them all over the U.S. and abroad. From New York City to Lake Tahoe. France, Italy, Australia – we’ve been all over the world with these conferences. I’d love to meet you at our next event. We can even take a photo together to commemorate our success. And that brings me to our goal of achieving another 1,000% winner. If we achieve our goal, I will send you one of the most exciting gifts yet. This is going to be something you’ll want to show off to family and friends. Especially if they invest themselves. They might even get a little jealous when they see it! I want to celebrate with you because I truly believe you should enjoy our wins and mark the occasion. Not enough people do this! So let me sum everything up for you one final time before you click that button below and get in position to make a lot of money. OVER $100,000 In Potential Benefits! You really have every guarantee in place making this worth your while today. 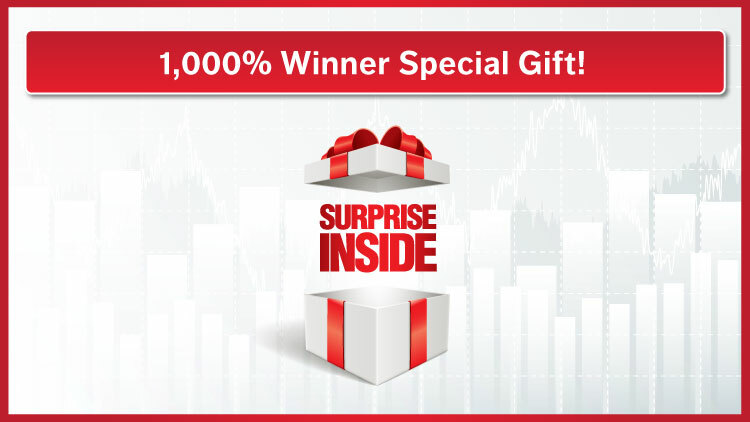 How are you going to feel if we collect our first 100% winner... our first 500% winner... or a 1,000% winner? What do YOU plan on doing with the money? Click that button below and you could be just moments away from finding out. And envision your newfound success, then the choice is simple. You only need to click that button that says “Join Dynamic Fortunes” and we’ll start our journey together. I guarantee, you will feel the regret by this time tomorrow. Because no other investment system is going to do for you what mine can. So to me, it’s an easy choice. And if you’d like to unlock your financial freedom, then I think it’s an easy choice for you too. Remember, you have every guarantee in place making this worth your while. I will do whatever it takes to show you this really works. Click that button below and let’s start doing it together!